Protect the interior of your vehicle from the sun's UV rays and relentless heat with a Covercraft custom windshield sun shade. Front window shades for vehicles keep your interior cool in the summer. Covercraft is dedicated to the development of new and innovative accessories that will protect not only the interior, but the exterior of your vehicle, with their sun shade being no exception to this. 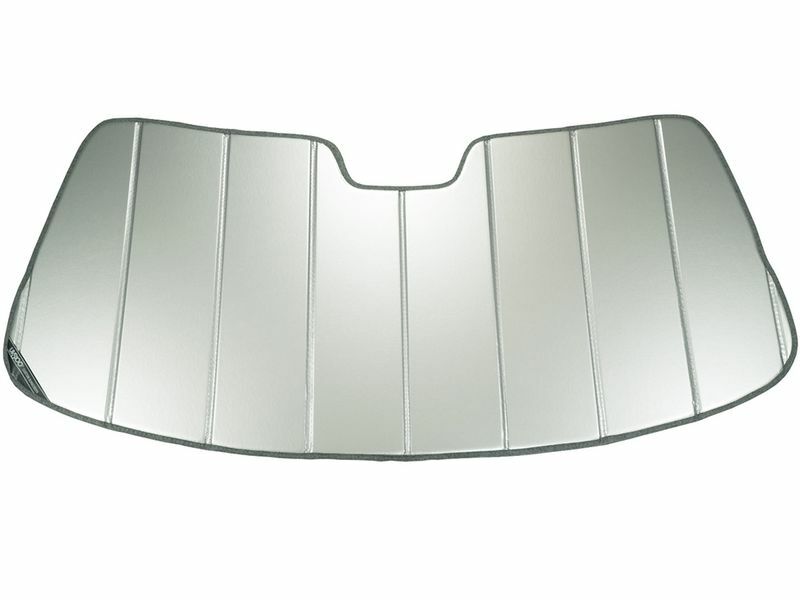 The Covercraft custom windshield sun shades are custom patterned to follow the exact contours of your vehicle's windshield. Offering over 500 different patterns for popular vehicles, you are assured of getting the perfect fitting windshield sun shade. Available in an accordion style, folding sun shade, which is made with a foam core board. The foam core acts as an insulator that blocks UV rays and heat. This shade is available in six different colors: silver, blue metallic, gold, green ice, rose, or Pink Ribbon for Breast Cancer Awareness. The side that faces the windshield is made with a metalized polyester laminate, which is going to block 97% of the suns damaging UV rays. Covercraft custom windshield sun shades are not only going to protect against the suns damaging UV rays but also ward off unwanted guests. The Covercraft windshield sun shade is going to block the sun's damaging UV rays and help sustain the value of your vehicle. Covercraft custom windshield sun shades are backed by a limited one year warranty. The Covercraft custom sun shade can be easily installed in seconds! Simply slide into place and instantly protect your vehicle from harmful rays.